While surface mount posts are common, it is not unusual for customers to need angle foot posts for cable railing. Fortunately, we have years of experience learning and producing what customers need for their projects. In this photo, you can see our angle foot posts sitting on top of a knee wall cap. 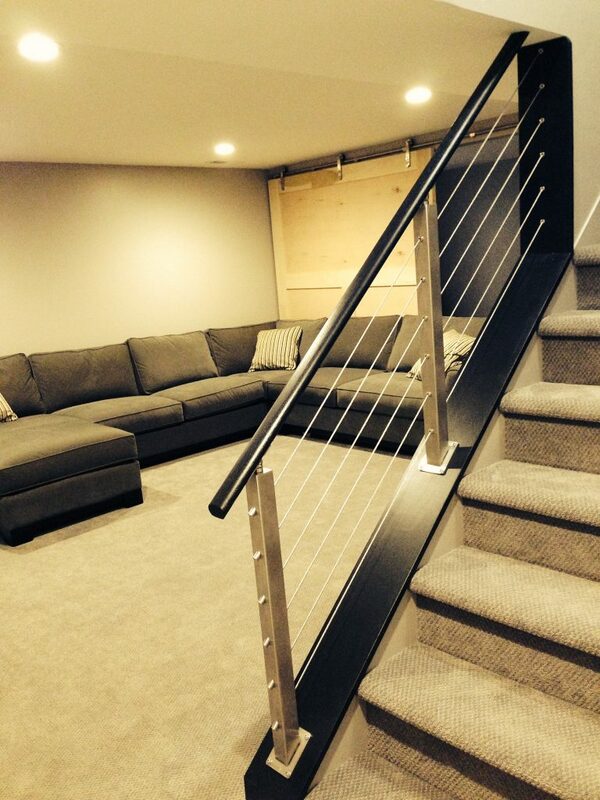 In addition, this project avoided using a third post by mounting directly into a wall. 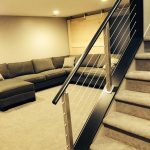 All together, the round handrail, stainless steel posts, and black knee wall cap work together to create a beautiful, modern system.